The Barca a vela nelle Isole Eolie society has its basis in the tourist village of Portorosa. This village is situated on the northern-west Sicilian coast, between Milazzo Cape and Tindari Cape, in front of the wonderful Aeolian Islands. The uniqueness of this tourist port is that the moorings are made out along canals: the structure of the port, in fact, is situated just in the middle of the tourist complex, with gardens that border the quays. The port is protected by two curvilinear quays and the entrance is turned towards North. The depth of the water is between 6 and 4,5 metres in the outer basin and about 3 metres in the inside sheets of water. 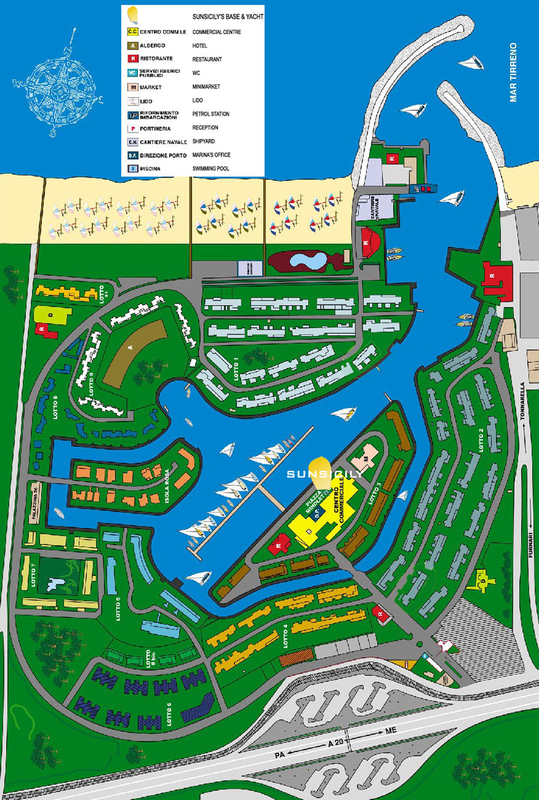 The Marina of Portorosa has 680 places for boats, all equipped with rail-posts, and it offers haulage, storage and bunker services. 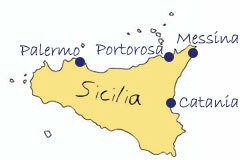 Portorosa has a multiservices-commercial centre, where clients can find everything they need.